Superdata, a division of Nielsen, has just reported on worldwide digital spending for December 2018. December showed an overall decline of 2% globally for all digital game downloads, which brought the total spend volume to $9 billion for the month. What was to blame for the slowdown? According to Superdata, it was the ‘Premium PC’ segment which fell a whopping 21 percent as key titles ‘Counter Strike: Global Offensive’ and ‘PUBG’ fell from the same month a year ago. Another culprit when it came to lagging PC video game sales was Electronic Art’s (NASDAQ:EA) popular team-based shooter, ‘Battlefield V’. In a somewhat surprising twist, the latest and greatest Battlefield failed to even make in to the top 10 sales for either PC or console. Mobile game revenue didn’t help either as the smartphone-gaming segment lagged in the single digit percent range as well. Trusty old consoles turned out to be the lone bright spot in December. Nintendo’s (OTCMKTS:NTDOY) newest blockbuster Switch release, ‘Super Smash Bros Ultimate’, sold the most of any console game with an estimated (by Superdata) 2.49 million digital copies purchased by eager gamers. 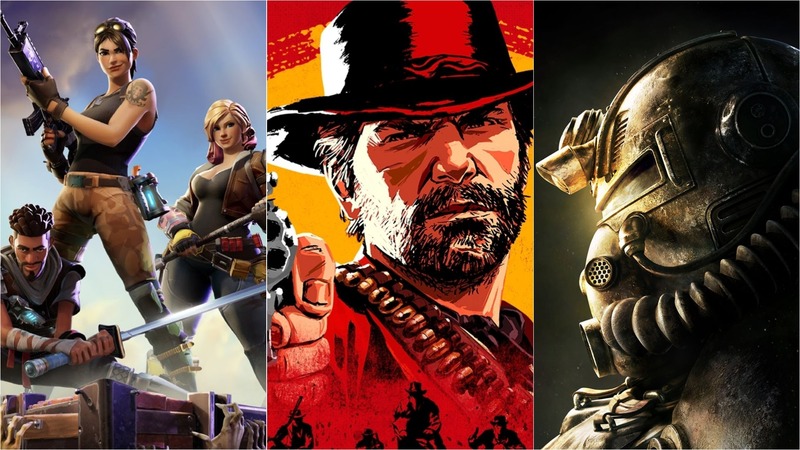 Smash, and Fortnite’s massive revenue on the console platform helped propel digital sales (console) up a healthy 21 percent from the same month a year ago. 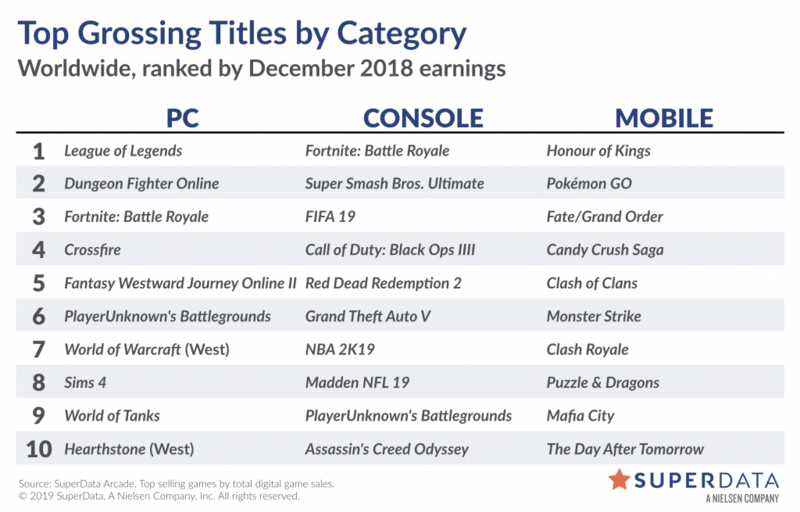 Fortnight continues to dominate the charts at the number one spot for consoles and in fact, Fortnight had its best ever month, according to Superdata.